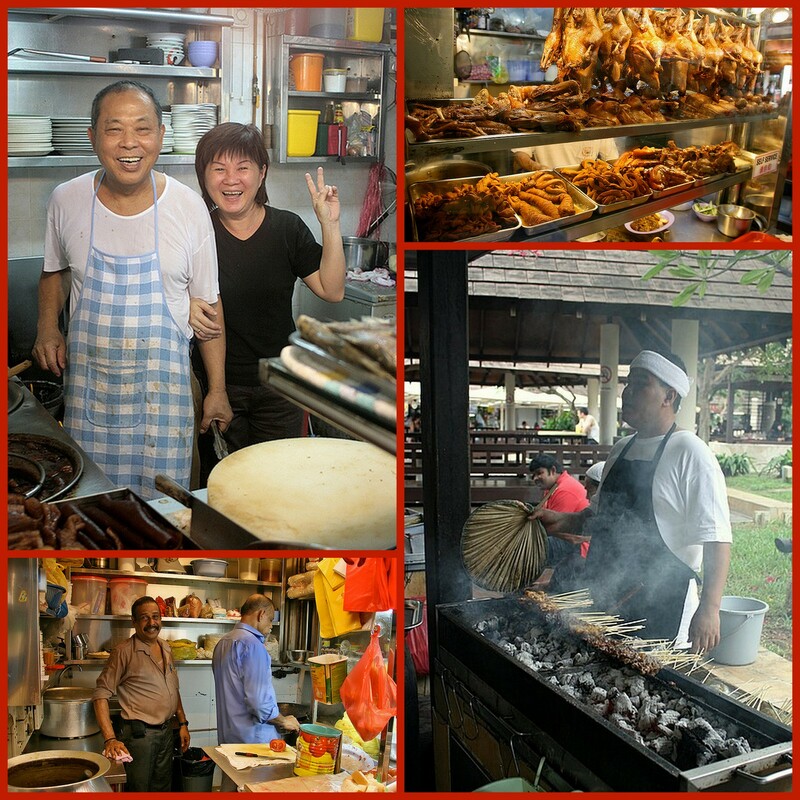 HungryGoWhere just published a feature, "Are Singapore hawkers not Michelin-worthy?" Sure the Michelin stars are extremely prestigious awards and often focus on high-end fine-dining. But should hawkers be sidelined simply because they prepare delicious everyday food on the cheap? Well, that mould kinda got broken when Tim Ho Wan, the famous hole-in-the-wall dim sum eatery in Hong Kong (now a chain though), won a star. The Michelin guide being related to the Michelin car tyre manufacturer, was originally meant to encourage travel. It susses out good food and ranks their excellence according to how worthy of traveling effort. Please also note that Michelin stars are awarded to establishments/restaurants, not chefs per se. Given that we happily scour the island for the best eats, and some of these eateries are certainly worth a special journey, would these hawkers not be worthy of a Michelin mention or two? It's interesting to see the debate that this has sparked. Because some of my friends fervently believe Michelin stars should only be for very special food executed by highly skilled chefs, not to a run-down joint with someone dishing out a quick stirfry. But who is to say that that quick dish is not as satisfying as a gourmet meal? Maybe it takes even more skill to prepare some hawker food than restaurant food? From ingredient knowledge, preparation diligence, and wok control and cooking techniques, serving up a hawker dish may look easy but is not something that's easily mastered. Some hawkers have honed their skills for decades. I'm not dissing the skills of those amazing chefs in highly established restaurants. But it would be interesting to see if a chef from a Michelin starred restaurant can learn and execute a hawker dish just as well. It's sad to see many excellent hawkers passing on without handing down their skills, knowledge and trade. I'm sure these businesses deserve accolades in a star category all their own, and might even help to shore up the interest from the new generation in upholding this precious but disappearing culinary legacy. Catherine, I think you know very well my opinion on this subject, having dissed the Rubberman on multiple occasions for handing out stars to places like Tim Ho Wan, Din Tai Feng, Hin Ho Curry...etc. I enjoy eating at those places, but they do not deserve stars. You do not see the same type of award with any other Michelin guide around the world. Hot dog stands and delis in New York do not have them, nor do creperies in France. I think the biggest mistake of a dining guide is to reach too far and be all-encompassing. Each should have its own niche. If you want to look for a good hawker stall, it should suffice to pick up a copy of Makansutra. One does not need Michelin's endorsement. If you push Michelin to do something in that area, it will likely do a poor job - as logistically the inspectors cannot possibly visit a good selection of both restaurants AND stalls. The end product will be of poor quality, but it will sell because it has the Michelin name. You may well find that people stop buying the Makansutra guides as sales decline, and we end up losing a very good guide to cheap and local eats.